In August 1939 the safety pioneer Béla Barényi started his work in Sindelfingen. He invented for example the principle of the crumple zone, a trailblazing innovation which entered series production at Mercedes-Benz in 1959. With the help of its in-house accident research function, which was founded in 1969, Mercedes engineers in the following years have developed several groundbreaking innovations in passenger car safety. 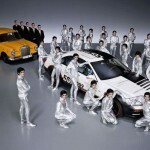 Now it is time for a look behind the scenes, and in this anniversary year, Mercedes-Benz is using the ESF 2009 research vehicle to reveal what its safety specialists are currently working on – with a time horizon that often extends well into the future. 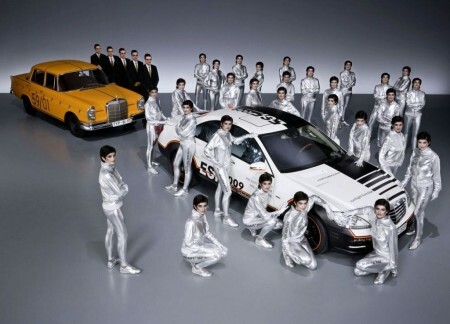 The ESF 2009 is the first Experimental Safety Vehicle to be built by Mercedes-Benz since 1974. Like its historic predecessors, it illustrates trailblazing innovations in the field of safety and makes the progress achieved clearly visible. These amazing but by no means crazy ideas include inflatable metallic sections which give more stability to structural components within fractions of a second, as well as the so-called “Braking Bag”. This airbag housed within the vehicle floor is deployed when a crash is deemed to be unavoidable, and uses a friction coating to support the vehicle against the road surface. The ESF 2009 was developed and built completely in the test vehicle workshops in Sindelfingen. 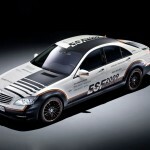 This safety research vehicle based on the Mercedes S 400 HYBRID features more than a dozen safety innovations, most of which are fully functioning in demonstration mode. * PRE-SAFE Structure:The inflatable metal structures save weight or increase the stability of structural components. When at rest, the metal section is in a folded state to save space. If its protective effect is required, a gas generator builds up an internal pressure of 10 to 20 bar within fractions of a second, causing the section to unfold for significantly more stability. 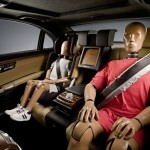 * Braking Bag:This auxiliary brake accommodated in the vehicle floor is a new type of PRE-SAFE component. 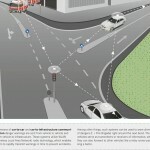 If the sensor system concludes that an impact is unavoidable, the Braking Bag is deployed shortly before the crash and stabilizes the car on the road surface by means of a friction coating. The vehicle’s vertical acceleration increases the friction, and helps to decelerate the vehicle before the impact occurs. * Interactive Vehicle Communication: The ESF 2009 is able to communicate directly with other vehicles, or via relay stations. Using “ad hoc” networks and WLAN radio technology, it is able to receive and transmit warnings of bad weather or obstacles in the road. * PRE-SAFE Pulse: This further development of PRE-SAFE is able to reduce the forces acting on the torsos of the occupants during a lateral collision by around one third. It does this by moving them towards the center of the vehicle by up to 2 inches as a precautionary measure. 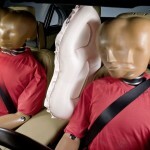 As an active restraint system, it uses the air chambers in the side bolsters of the seat backrests. * Spotlight lighting function: This partial LED main beam specifically illuminates potential hazards. If the infrared camera of Night View Assist PLUS detects deer at the roadside or pedestrians on the road, these can be briefly illuminated beyond the normal area covered by the main beams, as if by a spotlight. 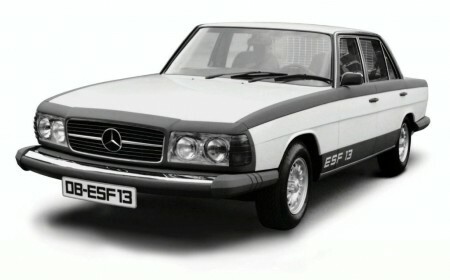 Mercedes-Benz is continuing a longstanding tradition with the ESF 2009: for the ESV Safety Conferences held in 1971 to 1975, the safety experts in Stuttgartbuilt more than 30 experimental vehicles and subjected them to crash tests to satisfy the visionary safety requirements of that time. Four of these ESFs (Experimental Safety Vehicles) were presented to the public, and many of the revolutionary ideas such as ABS or the airbag first entered series production at Mercedes-Benz.